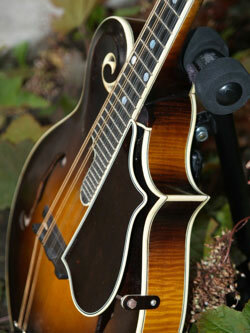 This instrument is the last and finest copy aesthetically, of a July 9, 1923 Loar that I have built to date. 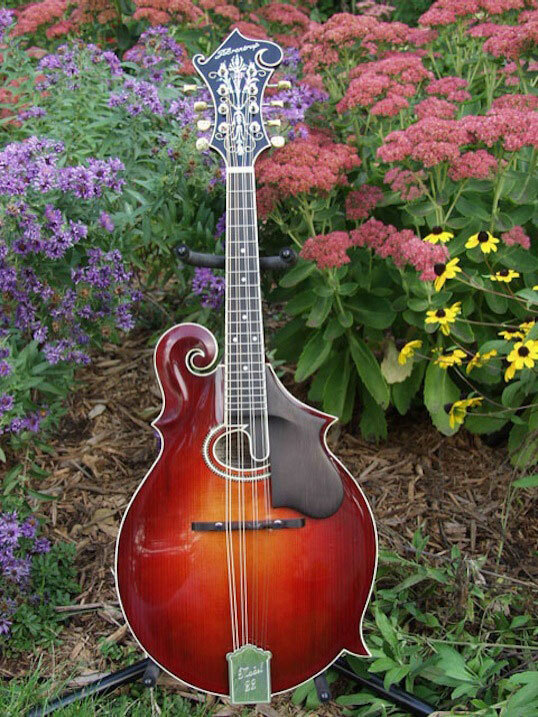 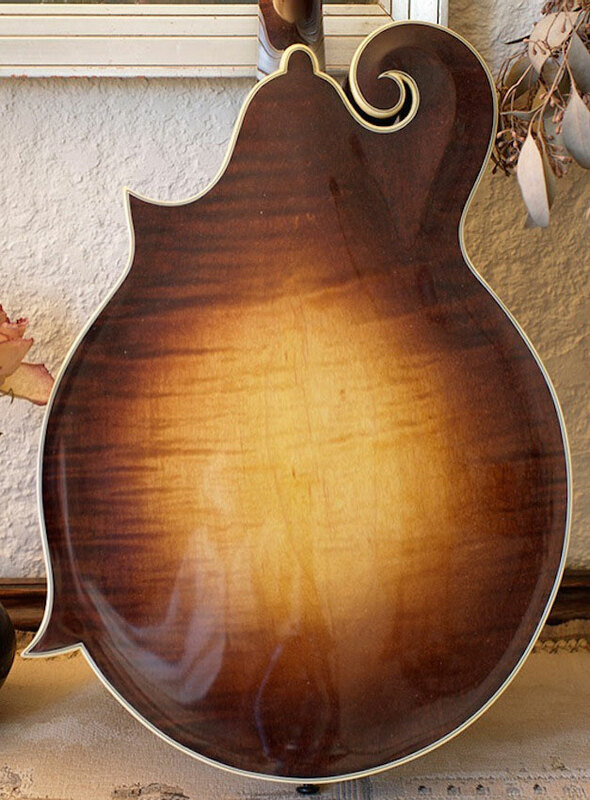 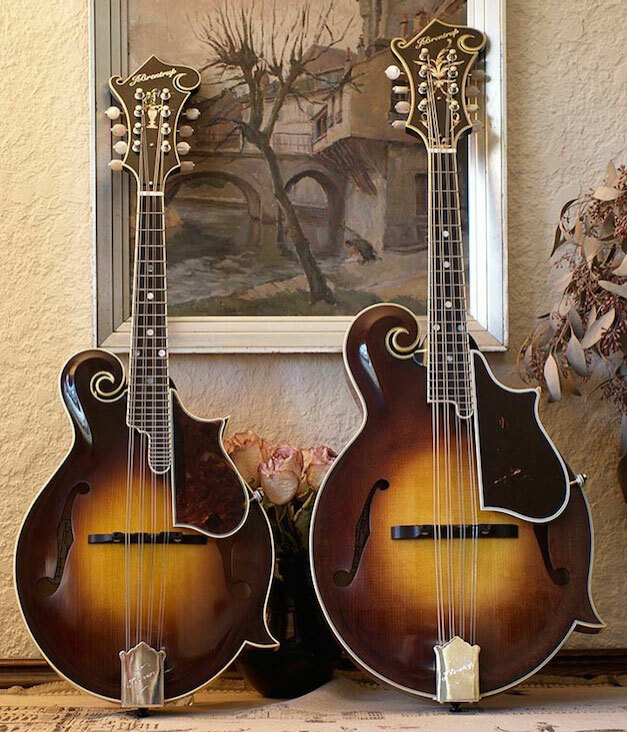 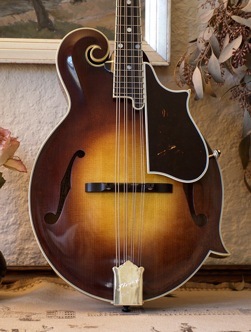 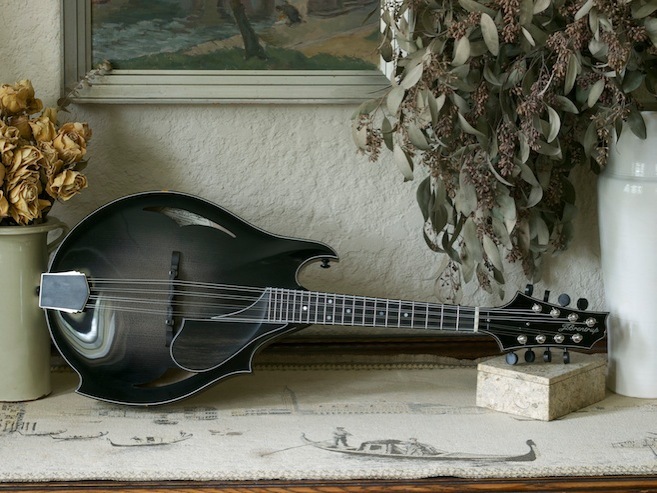 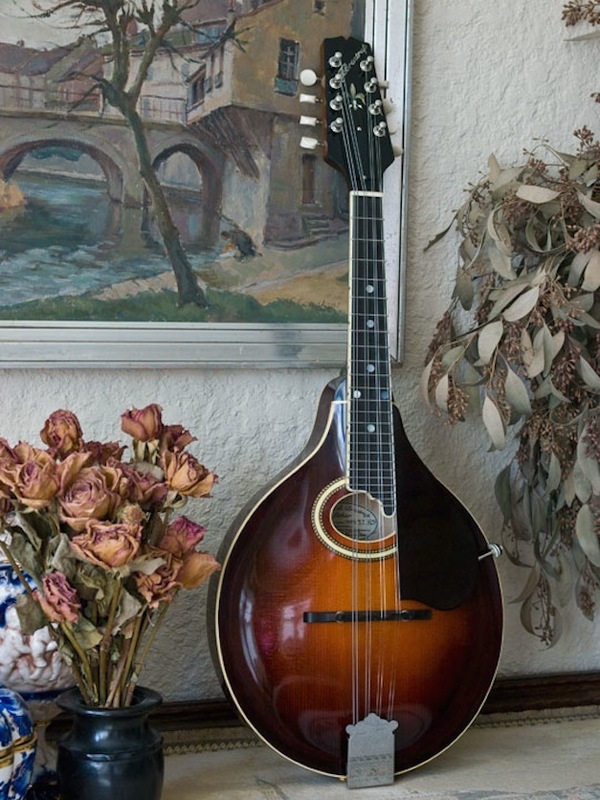 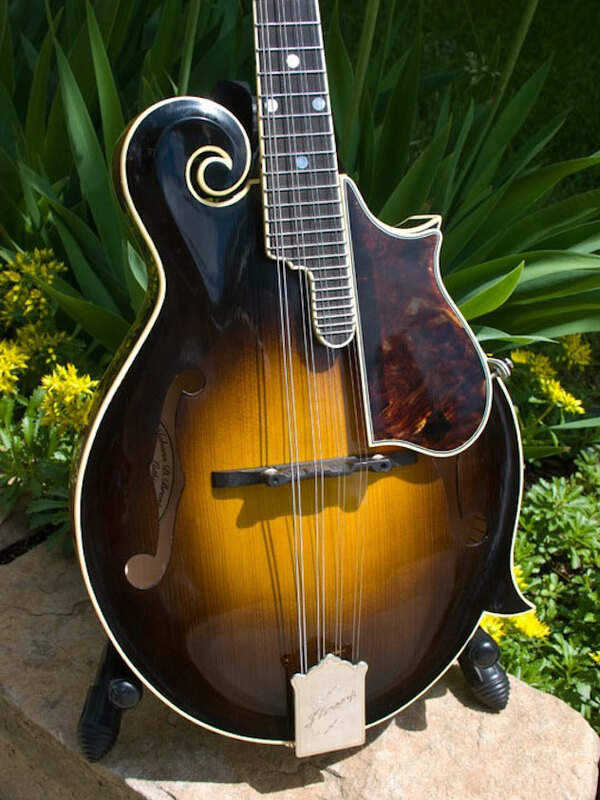 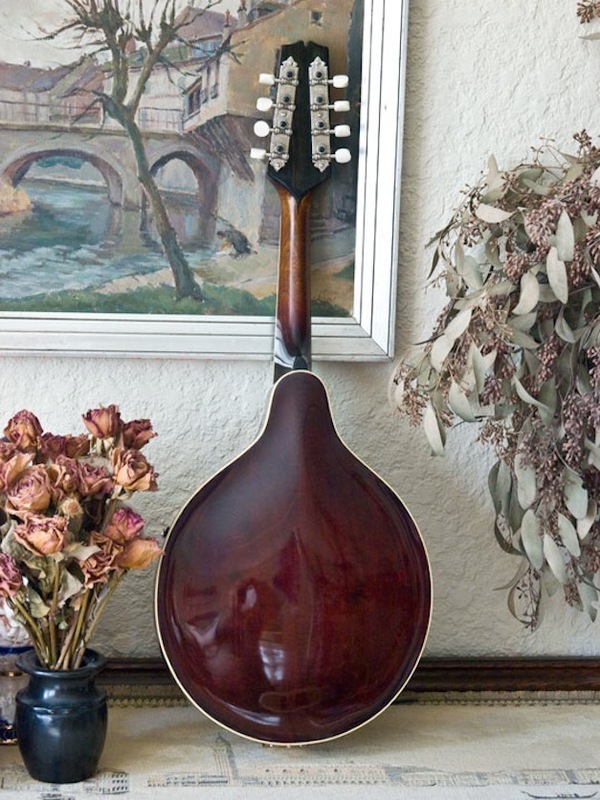 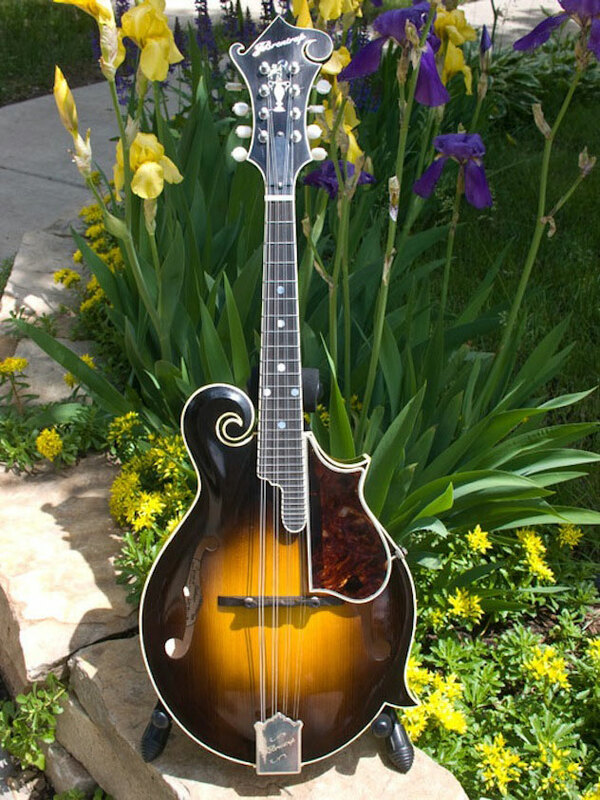 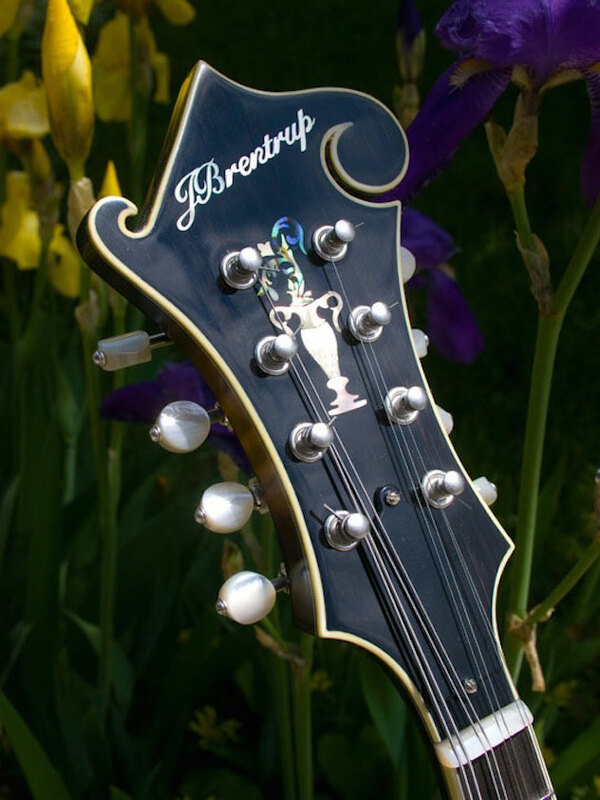 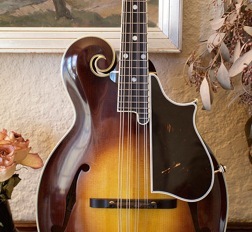 The F4 mandolin has often been called Orville Gibson’s most perfect design. 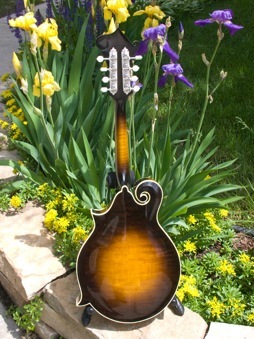 The 3 point mandolin was Orville's original florentine instrument and is a difficult build. 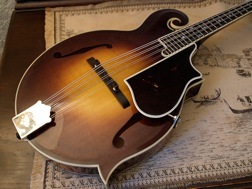 It has a very different sound suited to old time string band music. 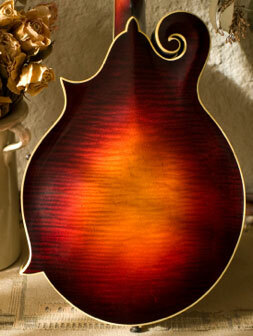 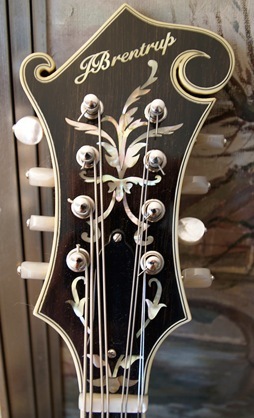 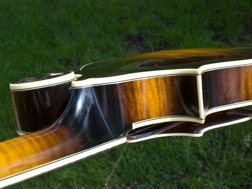 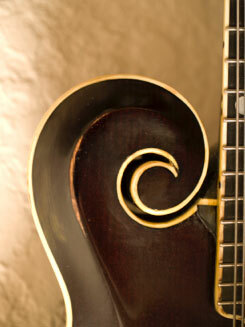 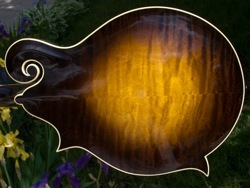 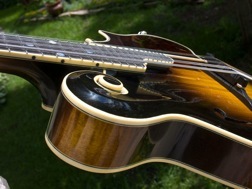 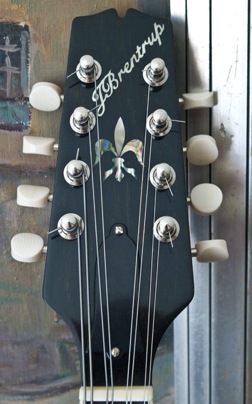 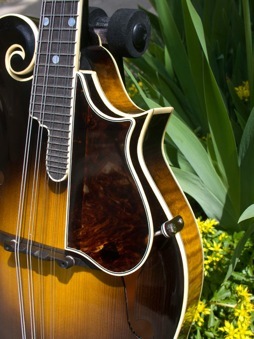 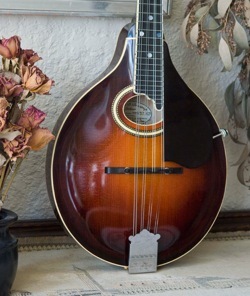 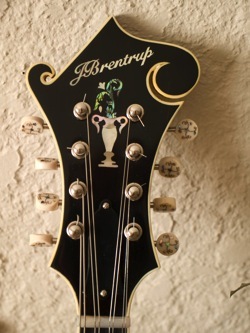 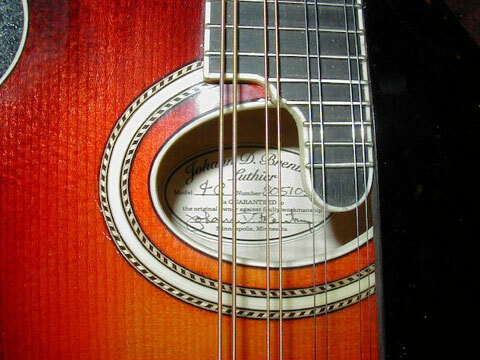 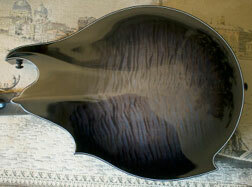 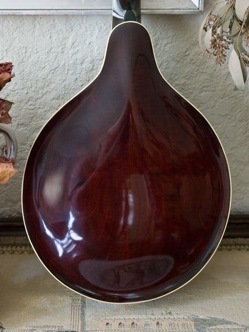 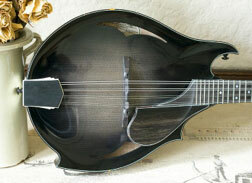 Big brother to the F5C, the H5C is a copy of a '23 Loar mandola that features a "fern" inlay. 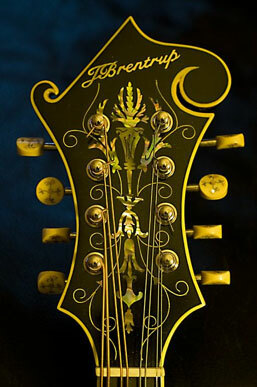 A copy of the '23 A style, referred to as the "Snakehead". 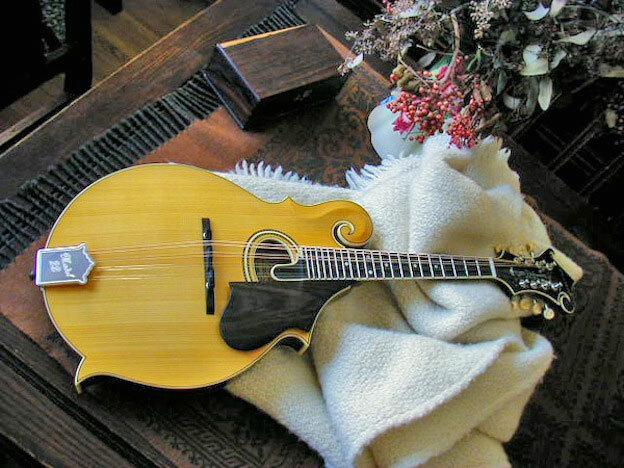 Sometimes you just have to make a departure from the traditional.